Doing group shows in general is always fun, let alone those with a theme set to them. Let alone when the theme is BBQ! And all of those things are happening together at Part Time Studios with this T-Shirt show opening on July 1st. 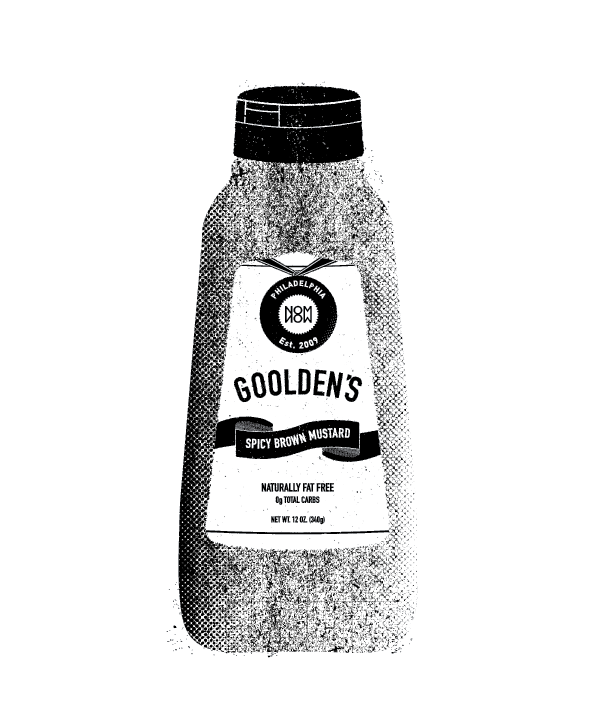 Gulden’s mustard is the best in the world (deal with it Grey Poupon), and although I certainly don’t limit my use of it to strictly barbecues, it’s absolutely a staple to any decent BBQ spread. I changed the spelling to match my own name, because artists can do whatever they want. Actually just because I love puns. Does that qualify as a pun? Who knows, I just did it. These shirts are going to be a very limited run, so if you’re trying to walk around with mustard on your shirt in a non slob way, make sure you pick one up. 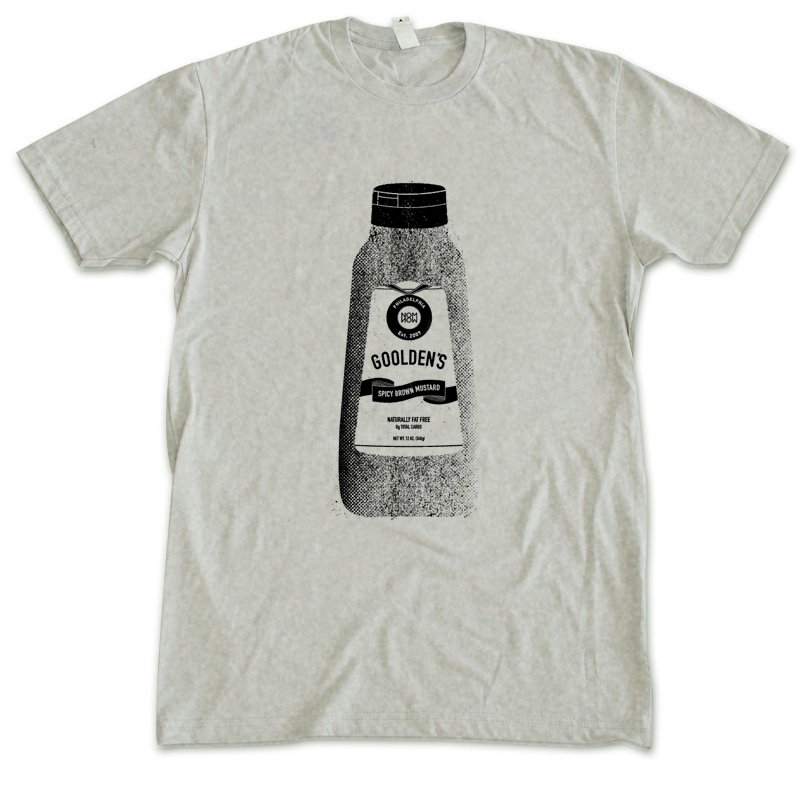 This entry was tagged Barbecue, BBQ, bottle, clothing, design, Goolden's, Gulden's, illustration, matt goold, Mustard, Nom Now, one color, Part Time Studios, philadelphia, philly, screen print, show, slob, t shirt. Bookmark the permalink. i will do anything to sport one of these bad boys. xl. wanna rep the main man on the streets of pittsburgh braah. so v clever. You got it, I think I still have an XL shirt for you that Biff gave me a while ago. I’ll hook you up. you da man. you da mustard man.